From Sri Lanka to Scotland, a new poll has determined the most desirable spots to snap for social media. Travel photography has moved on apace in recent times. Gone are the days of the sit-down ‘holiday picture viewing’. 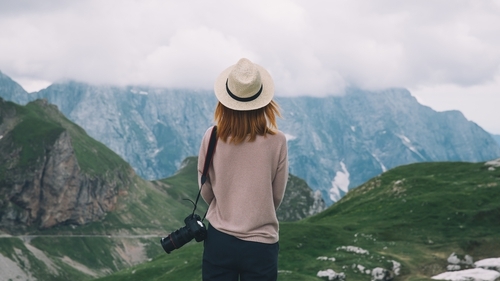 Now you can share your travels with the world at the press of a button, and in a crowded market of travel bloggers and Insta-junkies, different destinations have a clear sense of currency. The number one destination for Instagrammers everywhere, this coveted capital combines crumbling colonial facades with exquisite south Asian cuisine, and beaches worthy of a resort town. Practically conjoined with Tokyo, this giant metropolis is high on gorgeous urban skylines and exceptional Japanese cuisine. Yes, Yokohama is one of a smattering of destinations where no one can complain about you Instagramming your food. Three inactive volcanoes, miles of untamed bamboo forest, and more gorillas than your camera will have room for – Mgahinga is a nature lover’s paradise. Two words sum up the appeal of this idyllic German spa town: Black Forest. Imagine the beaches of Miami backed by neoclassical Spanish architecture, laced with Afro-Caribbean music and native Taino cooking. The Puerto Rican capital of San Juan is our kind of town. The world’s largest waterfall, we’re fairly sure this one was considered a ‘must-photograph’ spot when cameras still used pinholes and iodine. Straddling a flashpoint on the India-Pakistan border, you might want to take this one on advisory. Kartarpur hosts the Kartarpur Sahib, a holy site to Sikhs said to mark the site of Guru Nanak’s death in 1539. A barren desert wasteland coated in layer upon layer of crimson dust. Fun fact: Wadi Rum provided the unearthly landscape for Matt Damon’s 2015 film The Martian. The only privately owned cruise destination in Alaska, visitors are comfortably outnumbered by brown bears, bald eagles, and humpback whales. Throw in one of the world’s largest ziplines and indigenous culture to explore, and it’s little wonder Icy Strait Point attracts more than 100 ships a year. Gorse, heather, and surprisingly pristine sands – there’s plenty of rugged landscape on which to turn your lens.